Kids are looking after their cousins guinea pig for a few months & the run they have is attached to the side of their shed, so been looking around for a cheap outdoor run for them to get some fresh air. Was just about to buy this at another store for £22 when I saw this pop up for just £13.99 without a net top & £14.99 with a net top, I thought that they were decent prices even with the £1.99 Del charge, but found that the Free del code FREESHIP (should've expired) is still working! High quality weatherproof large 8 panel pet enclosure for Rabbit, Chicken, Duck, Guinea pig and other small animals creating a large octagonal space for your pets to have freedom outside. Fixation pins for easy construction and stability when the pins are pushed into the ground. This item comes flat packed and is very easy to set up and take back down offering completely flat storage when not in use. One panel has a door with allows easy access to the enclosure when the panels and net is set in place. 8 panels (1 panel includes locking door). Large door entrance 31 x 36 cm including a sliding lock. I've gone for the one on the link with the net for an extra £1. 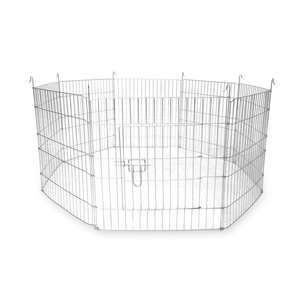 "Also includes a safety net, preventing your pet getting out and protection against other animals entering the pen. Also includes sun protection offering shade for your pet." strange, just tested here & working fine, are you signed in? Is this suitable for children do you think? Was using PayPal login. Now it's showing but still doesn't work. It shows as applied but you CAN'T do confirm and pay. 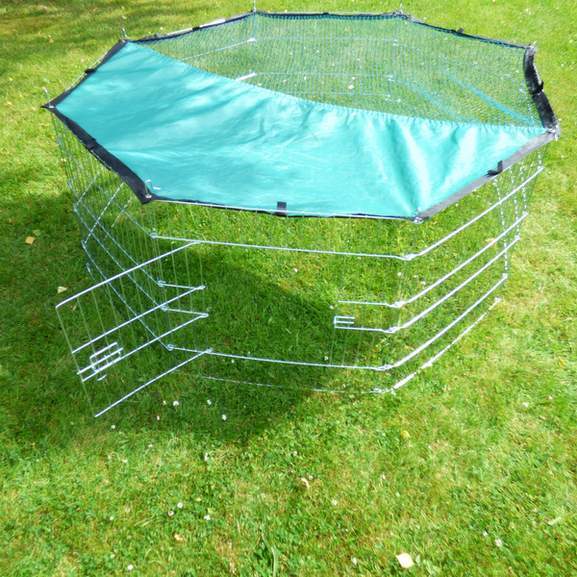 Could this be used to keep a cat in over night with the cover on? So the cat couldn’t get out? 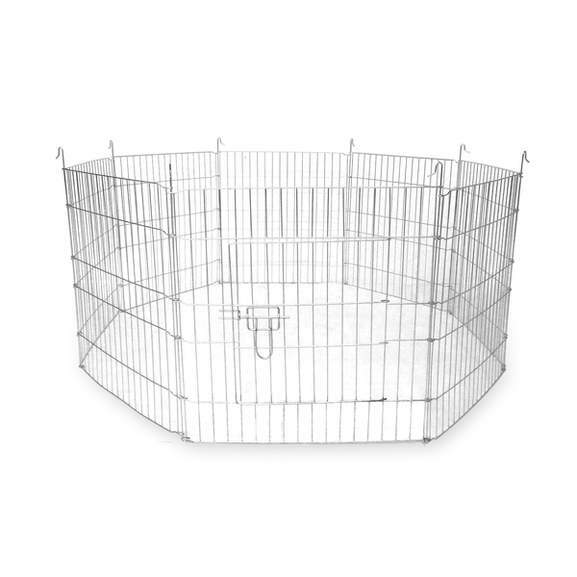 Could this be used to keep a cat in over night with the cover on? 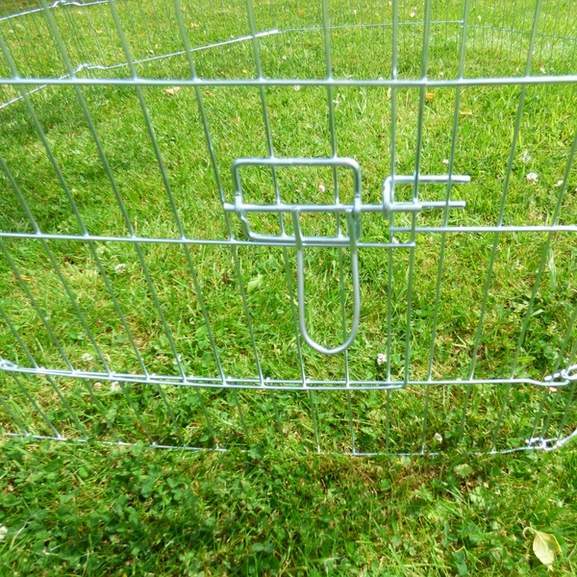 So the …Could this be used to keep a cat in over night with the cover on? So the cat couldn’t get out? Yes, it would be suitable. Might need a few twistees to keep the net on with no gaps.